Just finished a fun but exhausting weekend at Hal-Con in Halifax. Here’s the low-down. I’ve done four cons in 2013. 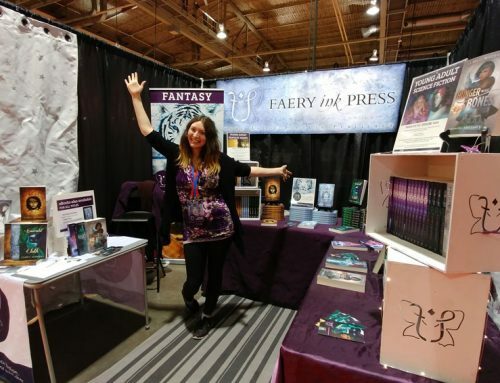 See my debrief/review/things I learned on KeyCon in Winnipeg, When Words Collide in Calgary, and C4 Con, also in Winnipeg. 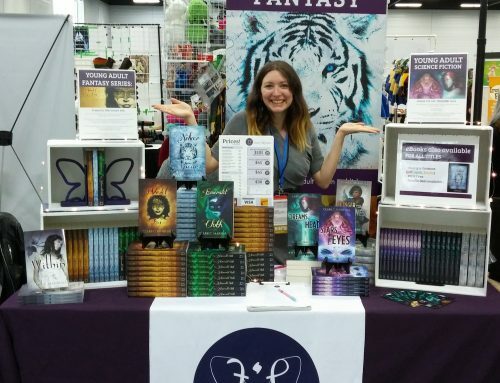 On Friday and Saturday, the con opened the first floor (the vendor floor) to the public. That meant that people could go check out the vendors for free. Interesting move on Hal-Con’s part–that means they saw no money from these “casual” con-goers who just wanted to take a look around. But I can tell you one thing for sure. Because of this, every vendor made maybe twice as much as they would’ve normally on Friday and Saturday. I made more on Saturday than I did at a whole weekend at C4-Con. The guy to my left was a Magic: The Gathering buyer and seller and he said he made $1500 on Friday, when normally he would’ve made $700. I know, crazy. All of this happy money making came to a grinding halt when the fire marshal showed up and realized that the building was over capacity, and almost shut the con down. Suddenly people who were leaving for lunch weren’t allowed back in–I even heard some vendors weren’t allowed back in. A lot of people became angry, especially the people who had weekend passes, who had paid lots of money to be there. There were TONS of lineups to go anywhere. One line up just to get to the second floor went right through the vendors’ room and past my table all the way to the back of the con. Although sales weren’t great during this time, I did manage to make some sales I might not have because of the line. 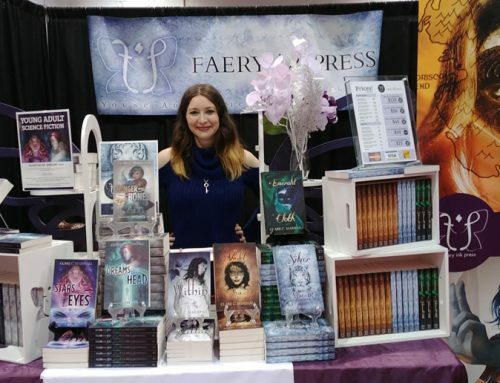 People were moving at a snail’s pace past my table and I had a group of people who asked me to tell them all about my books while they were waiting. Ended up selling them copies. Happened a couple of other times, too, while the line was slow-moving. Because of Hal-Con’s growth, and for the good of the vendors, I like the idea of opening that area of the con up to the public. I think maybe if they would’ve had a cheap price just to get into the vendors’–like $5-$10–maybe that would help? Then if they wanted to purchase access to the rest of the con, they could pay the rest of what it would cost for a day pass. Remember What I Said Before About Location? I was right in the thick of the vendor’s room. Definitely had one of the best locations, because I got on booking a spot early in the year. But I didn’t just have a table, I had a booth space. I realized this late in the game, before Hal-Con. The space did benefit me since I got a ton of sales, and it was handy having the extra room especially when it got crowded. Yeah! 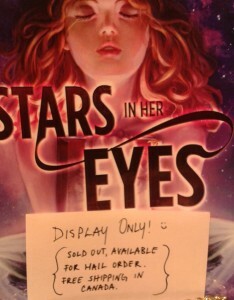 I actually sold out of Stars In Her Eyes! I’ve never sold out of anything before, and usually I’m pretty generous with my estimations of how I’ll sell. I brought the least amount of copies of this book, and by Sunday morning they were all gone. Next year, I’ll have to bring even more! It’s also difficult to know which book is going to out-perform. 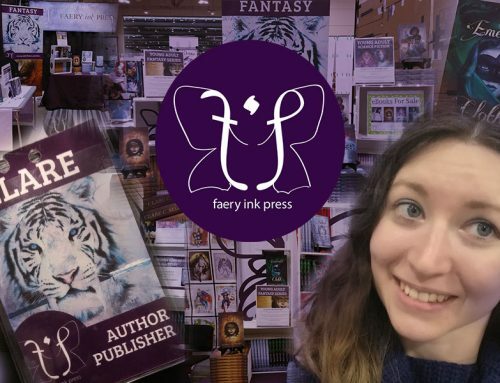 The Violet Fox always does well, no matter what, but I will never sell out of that soon because I have boxes of copies left. As for Within, that book is set in Halifax. I brought 16 copies and left with 3, and if the vendor’s room would’ve been open to the public on Sunday, I would’ve sold out of that one too. 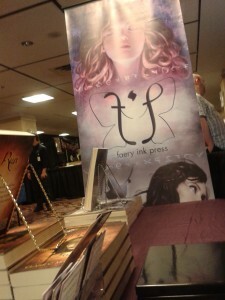 My lil eBooks were a hit at KeyCon, but performed mediocre to poor at my other three cons. At Hal-Con they accounted for less than 10% of my sales. What I did sell I sold mostly on the last day. With the eBooks I also stopped talking them up because I had the majority of people tell me that they were more interested in the physical books, and most people who bought the eBooks were interested in my stories, but they didn’t have the money to buy a print book. I think it’s worth mentioning that out of the four cons, I was only asked by one or two people if I had audiobooks, which I don’t. The guy next to me at C4-Con had a “tip the artist” basket. He was a photographer selling his cool prints, and I did notice a couple of people tossing him coins, but he was also fairly personable and chatted up everyone. I thought it a little strange. Who would want to tip us? We sit at these tables for hours without end and hope we make enough to cover our expenses and increase our exposure! We offer no service–we are there to sell product. 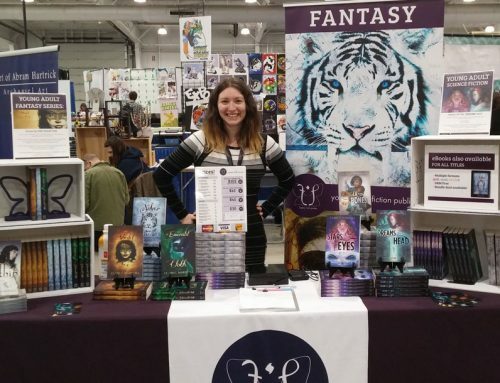 But at both C4-Con and Hal-Con, I had people overpay–deliberately–for eBooks and print books. It happened twice, once at each con. In both instances, they gave me an extra loonie or toonie. They wanted to support my work. They wanted to pay it forward. “I know how it is for writers,” said one woman at the con. It was very surprising and humbling. On one hand, they are “tipping” for a job well done. On the other, they are valuing my product for more than the price tag I’ve put on it. They are attaching their own value to something I have created–and there is something a little magical about that. I was very grateful and happy to see my old friend Peter Chiykowski of Rock, Paper, Cynic fame. He talked me up all weekend! Aww. He does super cool things that everyone should know about, but here’s the basic rundown: he’s an artist/writer who has his own webcomic, Rock, Paper, Cynic. He works for ChiZine Publications (same publisher I used to work for), writes for Free the Children, and has recently just successfully helped kickstart Half-Cat: A Partial History. And I’m excited to get the opportunity to collaborate with him on future projects! I’ll definitely be attending Hal-Con next year. My costs for this con were among the highest for this year, but I can minimize them by getting a table and not a booth. I’d like to be on some panels next year. I was hesitant to do panels at this con because it was exhausting running around at KeyCon and When Words Collide, trying to do it all, but with Hal-Con I had my sister and Dave (yay thanks guys! <3) helping out SO THAT WAS GOOD. Overall I came out of the con very exhausted but feeling like I'd achieved something, felt like a lot of people went away happy with my books. I even had one lady read one of my books overnight, and her husband and her friend came back saying how much this lady enjoyed it! So that was nice to hear 🙂 Now, all I have to do is keep a vigilant eye on vendor notices, so I can pounce on a good table for next year!